Wisdom teeth are the third and final set of molars that complete the collection of our adult teeth. They often don’t appear until we are in our late teens or early twenties, and erupt at the back of each arch of teeth, with one wisdom tooth in each corner. Unfortunately, wisdom teeth can be very problematic. As the last teeth to come in, many people find that they simply do not have enough room in their arch to accommodate their wisdom teeth. When this happens, it can lead to a range of different problems, from the wisdom teeth erupting in whatever space is available (and often coming through twisted or crooked as a result), or the teeth becoming impacted as there is literally nowhere for them to erupt. Another key problem with wisdom teeth is that a large percentage of patients suffer from an infection during the eruption stage. This is known as pericoronitis, and left untreated, the infection can spread to the cheeks, jaw and neck. 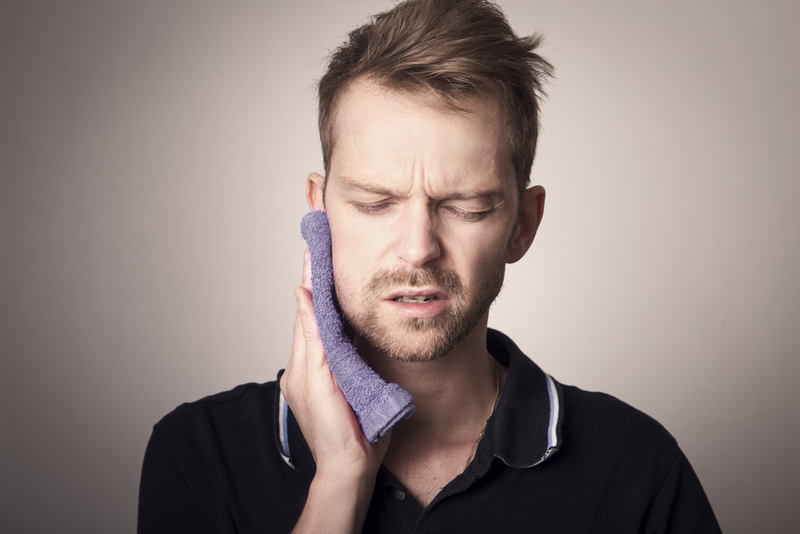 What causes wisdom teeth to become infected? When new teeth erupt, the gum opens up to allow them through. However, when this happens it provides an opportunity for bacteria and plaque to get under the gum, which causes irritation. It isn’t possible for us to clean under the gum, and so in many cases, deeply penetrating bacteria causes us to develop an infection. Infections are more common during the eruption of wisdom teeth, primarily because they are among the largest teeth and can take the longest amount of time to come through. This means that there is a wound capable of trapping bacteria open for much longer, making infection more likely. Patients also find that they feel generally run down or unwell, but without the typical symptoms that a cold or virus would bring. Unfortunately, due to the anatomy of the region, wisdom teeth infections can spread rapidly to other parts of the body, including the neck and throat. If the throat becomes infected, it may affect the patient’s ability to breathe properly, potentially causing a life-threatening situation. It is important to seek treatment for an infected wisdom tooth as quickly as possible. Not only will this prevent your symptoms from worsening and alleviate your pain, but it will also stop the infection spreading to other parts of your body, which could cause a range of other health complications. Once pericoronitis has been diagnosed, there are several treatment possibilities. Firstly, you may be given a course of antibiotics. These will start to address the infection, and alleviate your symptoms. We will also try and reduce the bacterial load in the infected area by scraping and flushing away as much of the plaque and debris as possible. You may also be recommended to use a special, antibacterial oral rinse each day, which will flush and clean the infected area, preventing the infection from reoccurring. In some instances, we may recommend extracting your wisdom tooth. This is normally done when it is believed that your tooth will go on to cause you a range of problems in the future. In addition to pericoronitis, this could include periodontal disease, decay and even cysts and growths. Alternatively, your dentist may suggest extracting your tooth because you have experienced multiple periods of infection. Wisdom tooth removal surgery is very common and rarely cause for concern. If you are struggling with your wisdom teeth and believe that you may be suffering from an infection, it is imperative that you seek the advice at our office as soon as possible. We will be able to identify the cause of your discomfort and arrange the necessary treatment in a timely fashion. Don’t delay, call your dental practitioner today. Haws Family Dentistry in Brigham City, UT today at 435-919-5100.